THE IDIOTS' BOARD: MAHAL KUMAPIT KA! kapit. a banal term suggesting a hold on not just to promises but a compromise instigating intensity between a heated flesh. a thought that almost everybody understands. it preconditions in its most silly nature the human thought relatively poor and devastated to the demands of bodily needs. it makes sense, bastos! submission follows. boom! 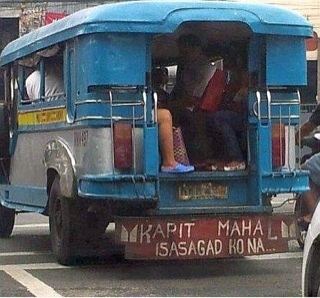 where the idea of "sagad" enters. now only fate knows and will tell the future. the subjectivity of "mahal" over the otherwise varies. it comes as a verbal expression or in its significant sense a true feeling expressed verbally to add competence and excitement beyond the gracious sounds of moaning. nonetheless, in the harmony of life and imagination, the vicious mind succumb to earthly matters correspondent to senses, human's weakness. ang sarap kasi. like any other ordinary person an idiot's thinking dwells on the luxury of sensual fantasies. ang pagpapakatotoo side of every human. thus, the creative part of human mind exists. the logical argument that can't be denied. ano isasagad mo na ba?